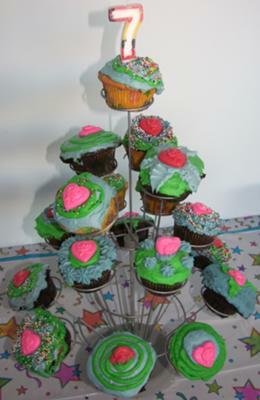 My daughter and I had fun making these cupcakes for her 7th birthday party! It was nice not having to cut and serve cake, and the girls got to pick the cupcake they wanted. Nice and easy, and all her friends thought they looked cool!